Stop The Presses! 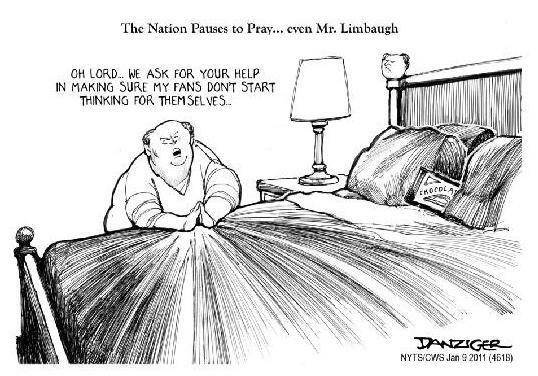 Limbaugh Is Upset! Um, So What Else Is New? 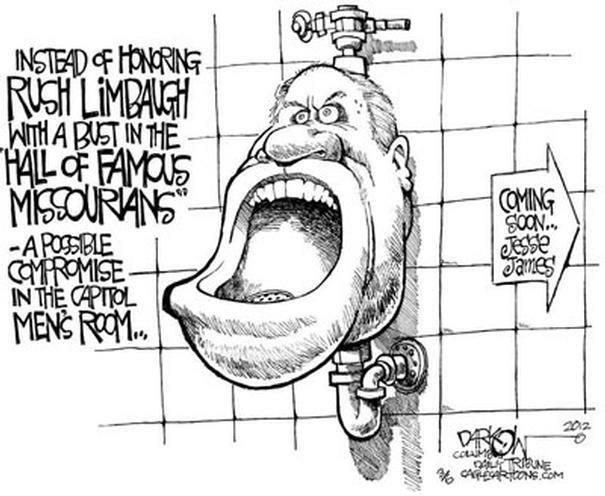 Rush Limbergercheese is once again upset about something he has no control over……….comedy…….which Limbaugh has no clue about. Comedy that is. This time he’s spouting off about “Comedy Central’s” Steven Colbert who will replace David Letterman as host of “The Late Show.” Named appropriately because it’s on late. Makes sense to me. 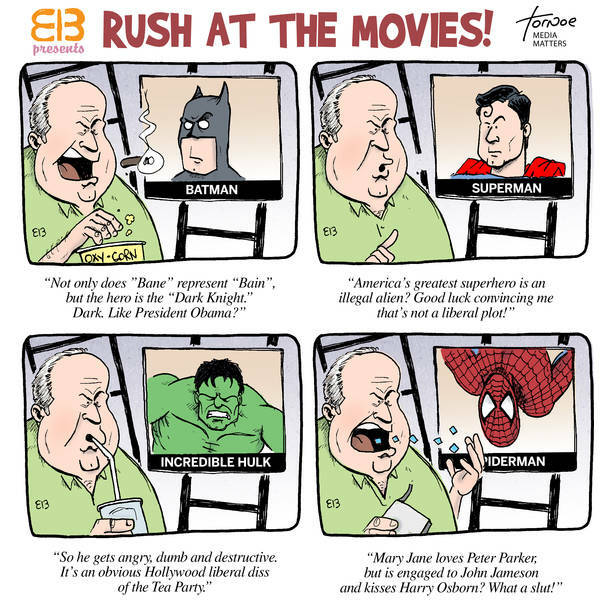 Rush is all up in a twitter….um….no, that’s a social media site, sorry. Rush is all up in a tizzy, (not a web site) because, as he stated, “CBS has just declared war on the heartland of America.” Because Colbert was picked to replace David Letterman. The heartland of America refers to the internal rural states. “Heartland” is commonly used to describe the region west of the Mississippi River and east of the Rocky Mountains. These Heartland states contributed significantly to America’s development as a global economic power. Ohhhhh. I get it. CBS is only going to attack those states west of the Mississippi and east of the Rocky Mountains by hiring Steven Colbert to replace David Letterman. WAIT! I really don’t get it. Why is it only the “heartland of America?’ Doesn’t the rest of the United States have hearts too? WHAT! Are we heartless? WTF! 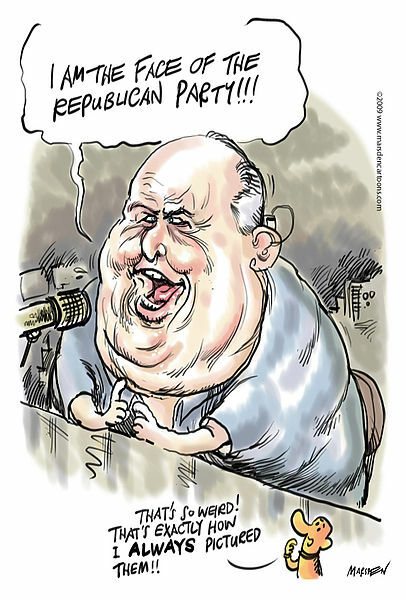 Hey Rush…..what the hell did ya mean by that anyhow? Redefinition of what is comedy? HUH? We’re sorry, all lines to God are temporarily busy. Please try your prayer later. Or try our Hell hotline which is much faster. Isn’t um, comedy when ya make people laugh at stupid stuff? I could be wrong here. Let’s see what else Limbergercheese had to say that might shed some light, or at least a candle, on WTF he meant. And he went on to add, “CBS showed no interest in selecting a host that appealed to both sides of the political aisle. 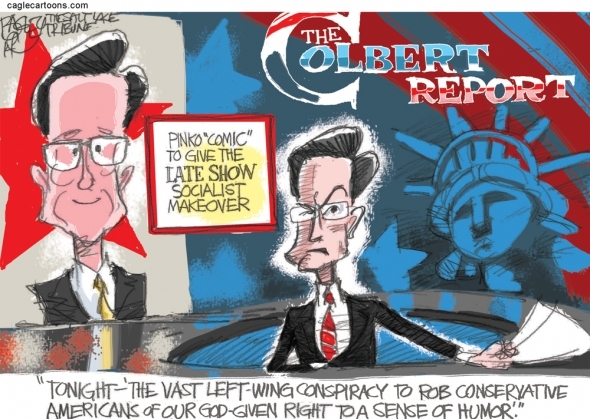 They hired a partisan, so-called comedian to run a comedy show. OMFG! They hired a partisan who calls himself a comedian to run a comedy show!!!!!! Ya mean that when Steven does comedy it’s strictly partisan? And when someone like Jon Stewart does comedy it’s partisan too? Both do not show both sides of the story using comedy? Just so that you can get a laugh by not only getting ONE SIDE of an issue? How f**king inconsiderate of them. DAMN! I gotta stop watching comedy shows and get my laughs from Fox News, Rush and Hannity. Lots of impartial comedy there folks. 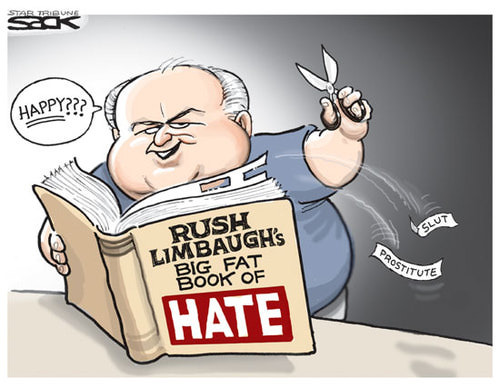 Um, Rush….is there a MisfitWisdom Blogger in there? Who, as we all know, are the only ones who ever watch the Letterman show. Right? Hmmmm. Time to cue in an Internet troll….at random of course. Sooooo. Basically what all this Rush/troll comment stuff means is that from now on we need to have some sort of vetting system when a network selects who will replace ANY host on a TV show. Kinda like Congress when the President wants to name an appointee and they have to question that person to see if they’re qualified. So that’s how it should go. Why hurt the feelings of any one group when selecting a new host for any TV comedy show. Make them suckers tow the line and conform to what comedy is all about. Just like the comedy Rush and Hannity do on their daily show each and every day. This entry was posted in Uncategorized and tagged CBS, Comedy Central, David Letteman, Jon Stewart, Rush Limbaugh, Sean Hannitty, Steven Colbert, The Late Show. Bookmark the permalink.